Aspire began working with Hunter Bay Coffee Roasters in June of 2013 at the request of owner, Rob Young. Rob was a new owner for the business and was interested in growth and improving the management of Coffee production. At the time, Rob requested that Aspire build a version of CoffeeRoaster with the ability to connect to QuickBooks Online. This had not been done before, as CoffeeRoaster was originally designed to connect to an ODBC database and began production with QuickBooks in early 2009 on local, desktop versions of QuickBooks. An agreement was reached between Aspire and Hunter Bay to do a pilot project with the aim of deploying CoffeeRoaster successfully. It took time to re-develop CoffeeRoaster into a product that would be able to connect to its data source over the internet, a less reliable connection than a local Hard Drive or Networked File Share. At the time this development was finishing up unbeknown to us, QuickBooks was in the process of obsoleting the QuickBooks Online product and replacing it with a newer, improved product. 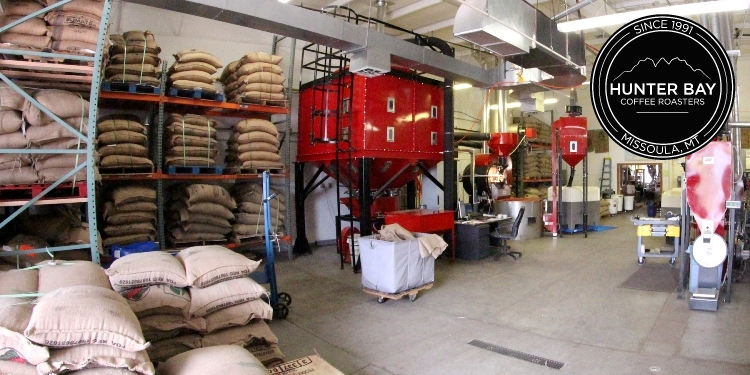 A few months before QuickBooks replaced their current QuickBooks online product Aspire was able to successfully connect CoffeeRoaster to an internet based data source (QuickBooks Online) and import Sales data for the purpose of running a Coffee Roasting, Bagging and Inventory application. At the time, it was uncertain whether a third party tool used to connect to QuickBooks data over the internet was going to be available in the future to connect to the new QuickBooks Online product and the decision was made to convert to a local QuickBooks product. There were many challenges shared by Aspire and Hunter Bay in moving forward in the deployment of CoffeeRoaster. There was a need to build a 'business network' as opposed to a 'home network' so that Windows could provide the necessary capabilities to run CoffeeRoaster properly. There was also a need for End User training and we have learned how to get better at that. The many challenges along the way were met by teamwork and working to solve the issues and move forward rather than getting sidetracked by the challenges. People learned new ways of doing things that led to better ways of managing Coffee production. This is the path of successful businesses. There was also a company culture in transition and this creates its own set of challenges for long term employees who are now asked to adapt to change. Again, the ability to adapt to change for the purposes of improving the business is critical to moving forward both for businesses and employees. With the CoffeeRoaster software product, it is critical to maintain properly configured data. With proper configuration and proper data entry CoffeeRoaster produces excellent results. If configuration or data entry are off, the results are less predictable. Over time, we were able to train the right individual to manage the configuration data and maintain data entry, Levi Chagnon. We are not done yet, we will continue to learn how to get better - that is the way forward for a successful businesses. Today, we are beyond the challenges of deploying CoffeeRoaster and in a position to reap its benefits. The information below comes from Levi describing how he sees the impact of CoffeeRoaster on the Hunter Bay Coffee Roasting business. At Hunter Bay Coffee Roasters the following CoffeeRoaster Modules are deployed. Since 2016 there have been changes to the crew at Hunter Bay with two changes in the Operations Manager and a change in the Roaster. In addition, a second location has been added with a single QuickBooks Company file managing orders for both locations and both Roasteries. As of March 2018, Aspire has been involved in a testing phase to verify the ability for new changes in CoffeeRoaster to separate imported coffees for production based on location. Preliminary testing has been satisfactory, final testing is expected to occur in April - May 2018. We have been using the CoffeeRoaster program from Aspire to manage our production materials and order fulfillment systems over the last three years. I have been very happy with the programs ability to make data easily accessible and streamline operations. It has taken a dedication to efficiency and progression in order to make the transition into using software to manage production and inventories. As our company has grown, we have seen the necessity for the CoffeeRoaster program to manage these things.